After several days of more active weather, calmer weather will make a comeback today. Look for mainly sunny skies, cool temps, and light NW winds. Highs will range from the mid to upper 50’s north to the mid 70’s along the coast. Previously anticipated thunderstorm activity looks like it will remain focused in the Mid Atlantic states as the upper level energy driving that threat slides farther south. 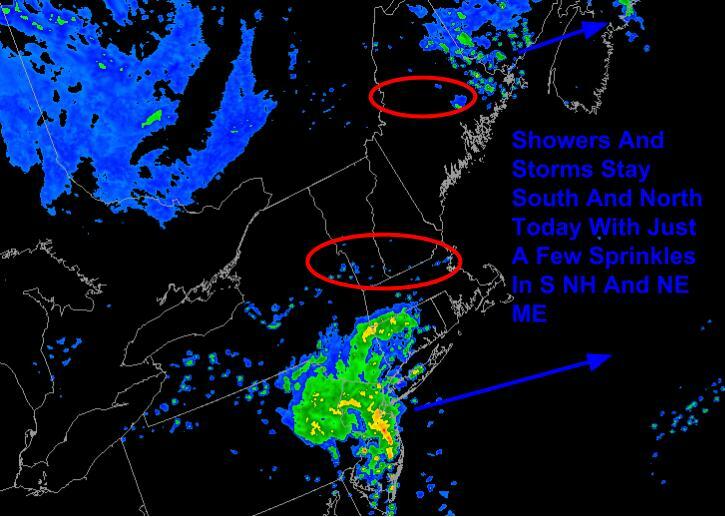 A few sprinkles/showers are possible across far southern NH and far NE parts of the area in ME today but other than that, dry conditions are expected.